This field is all about helping people with special needs. Professionals work to improve quality of life through recreation activities. Why study therapeutic recreation at AU? 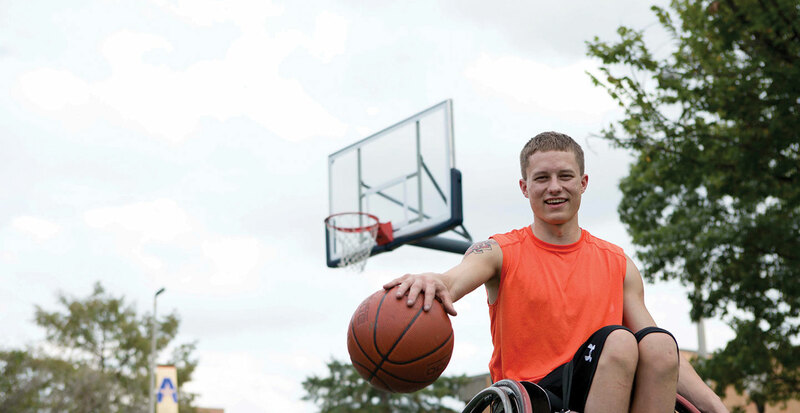 There are many therapeutic recreation organizations near Aurora University. This means you will have access to hands-on learning, field work placements and internships. After graduation, you can take the Certified Therapeutic Recreation Specialist (CTRS) exam, which is the gold standard for starting a career. Then you can go on to work in a number of service-oriented agencies. Expand your career opportunities by double-majoring in human-animal studies or disabilities studies. And even with a second major, you'll still be able to graduate in four years. A therapeutic recreation degree will equip you with the skills employers value most: communicating your ideas, analyzing a problem, and working with others to find a solution. In a job market that’s evolving faster than ever, you'll have the knowledge and tools to succeed.